An adaptation of F. Scott Fitzgerald’s Long Island-set novel, follows mid-Westerner Nick Carraway (Tobey Maguire) as he documents his lavish encounters with neighbour Jay Gatsby; who seems to have all the wealth and wonder in the world, but remains childishly unsatisfied without one thing, the woman he adores, Daisy (Carey Mulligan). 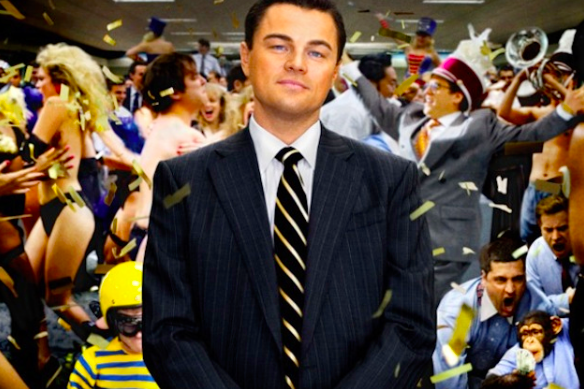 Following all the hype about the decadence of this film, fans of Baz Luhrmann’s work will not be disappointed with the spectacle that this film delivers in the first half at least. Taking the concept of the ‘roaring twenties’ to its literal extreme, as the film begins you are introduced to a booming New York full of promise, prosperity and parties! Intercutting re-purposed original footage with some of Luhrmann’s newly developed settings; the audience follows Nick Carraway as he discovers and becomes a part of this world. Slowly, through the eyes of Nick, we discover the main nouveau rich players in this story, starting with Nick’s cousin Daisy and her husband Tom Buchanan (Joel Edgerton). Upon entering this world, we are faced with an immense sense of overwhelming intensity, the editing is fast paced from one character to the other and at times you’ll feel breathless trying to keep up. You will find yourself trying to take in the scenery in front of your eyes and attempt to keep up with the storyline as well. This puts you straight in Nick’s shoes, a new world, new people and a whole new lifestyle. Tom Buchanan is expertly played by Joel Edgerton, and is dominating in every scene, bringing a sense of rich, butch, manliness, which is neither endearing nor trustworthy. With him is Daisy, brought to life by Carey Mulligan, an interesting choice for the part, she makes a promising entrance making the character feel care free and wistful as we meet her – quite like a bubblegum princess – but as the film progresses ever so slightly fails to demonstrate the complexities and shallowness of the literary Daisy that fans of the book will have built in their minds. 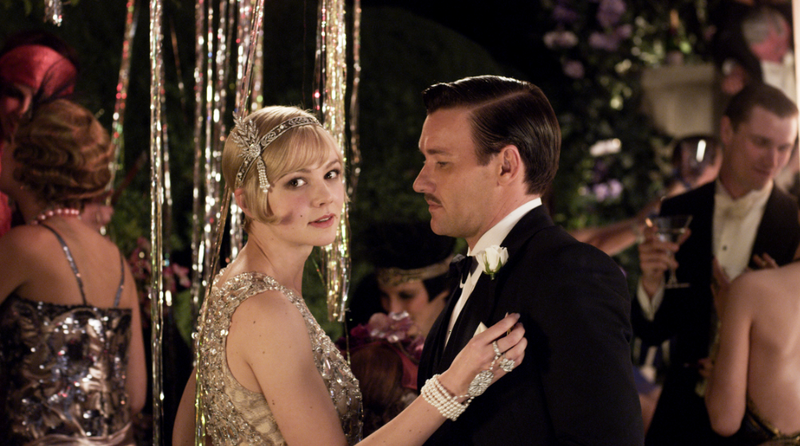 Alongside these characters is Jordan Baker (newcomer Elizabeth Debriki), Daisy’s best friend, this other than Gatsby is probably the best casting of the whole film – looking like a real product of the time and acting with the arrogance and elegance you would expect from a flapper socialite. Debriki carries herself in a scene-stealing manner that, like Edgerton, dominates any screen time she has. Onto the main man, for a modern day Jay Gatsby, Leonardo Di Caprio is the best choice. Smart, mysterious, yet at times vulnerable with a buffoon like quality; the moment the actor raises a glass to the crescendo of music with a beaming smile at one of his lavish parties, you can only imagine teenage girls once again placing posters of this man up on their wall as teenagers of over fifteen years ago did with his last outing with Luhrmann. Bringing all these characters together really does make one hell of a party, and if there’s one person who likes to put on a party bigger than Jay Gatsby, its Baz Luhrmann. This is what the audiences are most looking forward to out of his films, and if we’re honest, this is what the film is entirely sold on. Three scenes of stunning clothing, expensive jewelry, amazing choreography and stereotypical nods to the era that had it all. Once the audience is introduced to the world of Jay Gatsby’s parties, you really see the trademark Luhrmann come to life. As much as this spectacle is what Luhrmann fans are craving, the novelty can only go so far. Part of the films downfall is its pressing focus on style. Sadly there is not enough substance to support it. Throughout the second half of the film, the parties dim down and you are left with the love triangle story. When you watch it unfold, you become more attuned to the flaws in the film. Firstly, the extravagant sets that populate the initial part of the film feel more contrived and fake, as there are less people in the room. You find yourself feeling like you are watching a play, with purpose-built backgrounds and a very clear distinction between what is a real location set and what is constructed. Once you see this, you feel that there are more contrived elements to the film, everything is so detailed and so precise – particularly thinking back to the blocking of every character from extra to main – Looking back at Luhrmann’s other films, particularly Moulin Rouge, he managed to create a fake Paris that felt real, you could almost smell the stinking sewers of Montmartre and taste the champagne being poured into the glasses on screen, perhaps it was the limitations on technology that allowed him to be more artistically experimental and in this case as more has been offered to Luhrmann on a plate, it feels like he’s used it because he can and not because it’s right. Whatever the reason, with The Great Gatsby, something just doesn’t quite marry up – and this is similar to the issues that one may find with Joe Wrights Anna Karenina. Alongside this, you feel so distracted by the set that the fundamental plot line gets lost, and where you would expect to feel real emotion towards the situation Jay and Daisy are in, and build dislike towards Daisy’s fickle nature, you just don’t care. 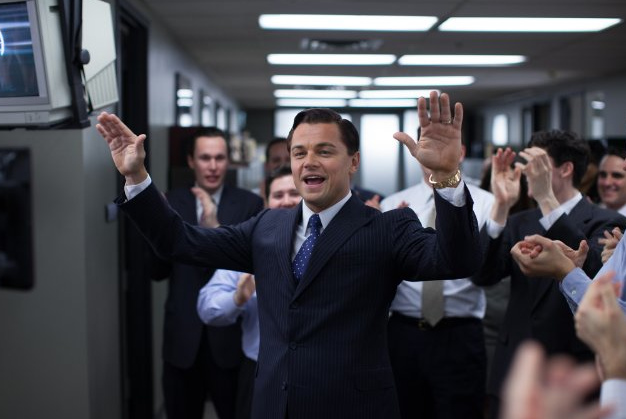 There are tender moments, such as when they meet once again after five years, and this is where DiCaprio shines with relatable buffoonery and nervousness. But that is about it, suddenly there is a lacking of focus and complexity within the acting and you do feel like the actors are sadly moving around a room to hit their mark and deliver their lines, rather than providing a real rival performance to the Redford/Farrow Great Gatsby that people know and love. Perhaps a much simpler setting could have allowed time to focus on the real story at the heart, and provide a more complex character study, which those fans of the book will crave more. 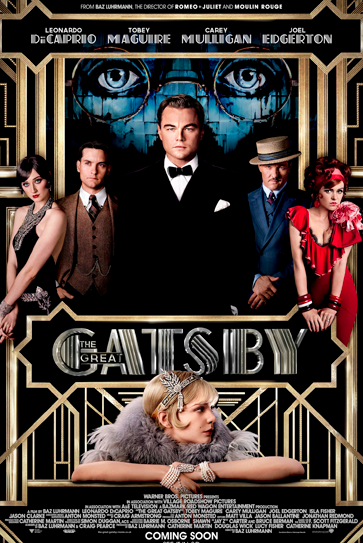 Depending on what you’re looking forward to most within this film, you’ll either love The Great Gatsby for its decadence or loathe it for its lacking in substance. Whichever way you look at it, you’ll definitely be seeing something different to what is in the cinema at the moment. However, The Great Gatsby is another problematic product of too much hype in the build up and not enough clout in the end product. Fans of Luhrmann’s work will enjoy seeing him bring another film to the cinema screens, however may still feel he peaked at Moulin Rouge and has struggled to live up to that success ever since. But if there’s one thing you do take away and treasure forever from this film, it’s the incredible soundtrack, just like Baz intended; it’s the perfect accompaniment to any party.